Home » Coffee Beans Blog » Who would you trust to buy coffee from? 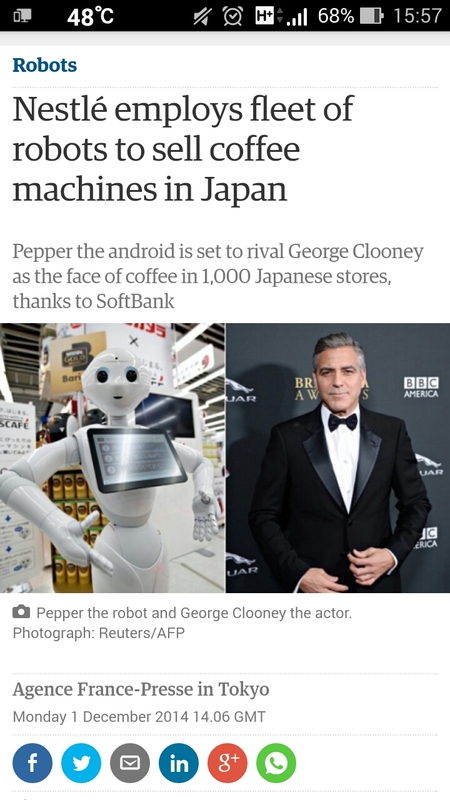 A cute robot or George Clooney? The Guardian Newspaper in London recently reported on this story from Nestlé in Japan. Apparently, they are attempting to employ a fleet of robots to sell Nespresso coffee machines in Japan! Previously they had used George Clooney to do this! I wonder how he feels losing out to a robot! So I’m asking you: Who would you like to serve you coffee? A Cute Robot called Pepper? 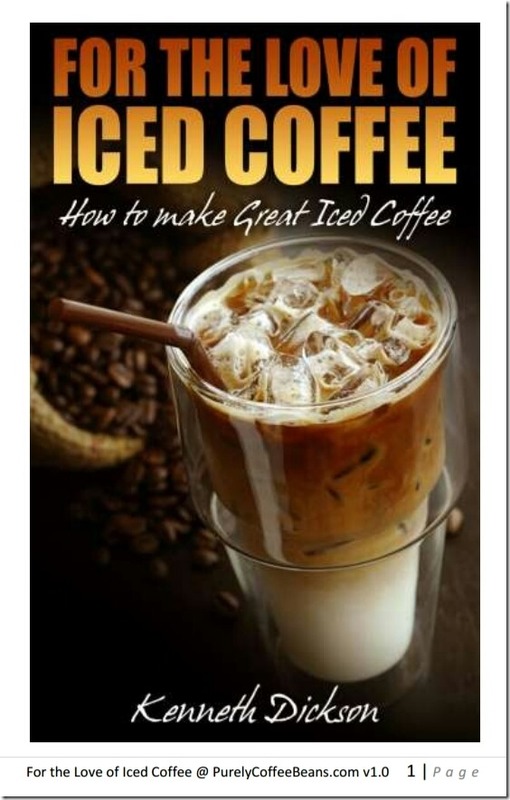 So who’s going to be selling YOU coffee in Japan? Comment your answers below! I already know which I would prefer; but the Japanese are used to buying things from machines because there is less risk of embarrassment caused by human interaction.